But now, the Ko Olina Lagoons on the West side of Oahu, Hawaii are growing to be the second-largest tourist destination on the island, just after Waikiki. And that’s not necessarily a bad thing. It’s just a little different than it was before. But my 20+ years of experience at the Ko Olina Lagoons prove that I know the area better than nearly anyone else. 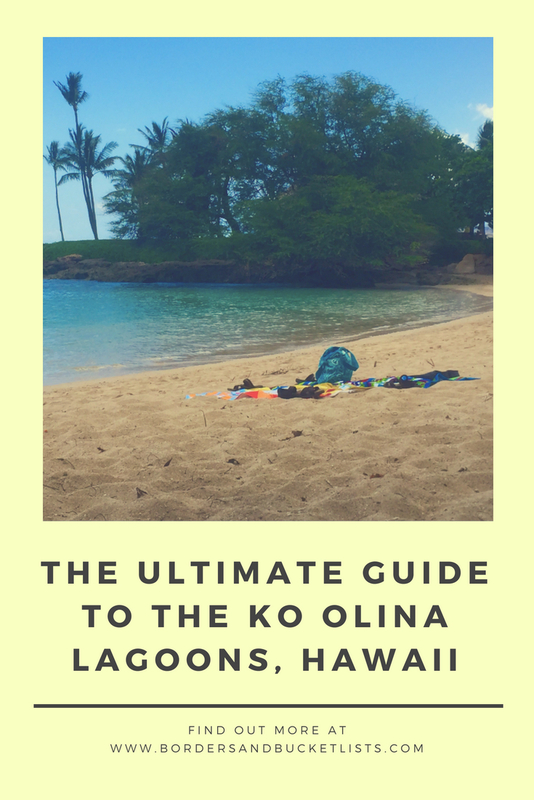 To give you a better idea of where to stay, relax, have some fun, eat, and have a wedding, I’ve created this ultimate guide to the Ko Olina Lagoons in Hawaii. The Ko Olina Lagoons have quite the range of places to stay – from hotels to Airbnbs to town homes. The Four Seasons Resort is probably the most couple-friendly resort in the area. With multiple resort boutiques, a couple of pools, a high-tech health club, and rooftop tennis courts, this resort provides tons of ways for guests to unwind on their Hawaii vacation. Room rates start at $589 per night, although this price does depend on the season. There are also quite a few restaurants and cafés at the Four Seasons Resort at Ko Olina, which will be discussed later. Disney’s Aulani is a miniature Disney park right on the Ko Olina Lagoons. Of course, Disney has packed their resort with tons of fun kid-friendly activities, including the keiki cove splash zone, a high-tech scavenger hunt, painting with light, and snorkeling in the rainbow reef. But they also have activities for adults as well, including spa treatments, hydrotherapy gardens, and the Pulu Bar mixology station. Room rates start at $484 per night, although this price does depend on the season. There are also quite a few restaurants and cafés at the Aulani, which will be discussed later. The Beach Villas at Ko Olina is the most affordable option if you’re looking for a place to stay directly on the lagoon. If you are looking for a place for a larger group, the Beach Villas have 3-bedroom apartments that can sleep eight people. The amenities include two pools, barbecue grills, a fitness center, a sauna, a steam room, and the Makai Hale Beach Bar. Room rates start at $300 per night, although this price does depend on the season. They also require that your stay be no less than seven days. If you would like to book a room at the Beach Villas at Ko Olina, just do a quick google search, as the rental bookings are on many different platforms. Here is one unit as an example. Marriott’s Ko Olina Beach Club offers a combination of both hotel and timeshare options. The amenities include a spa, fitness center, and pool (with a waterslide!). Room rates start at $320 per night, although this price does depend on the season. There are also quite a few restaurants and cafés at Marriott’s Ko Olina Beach Club, which will be discussed later. Its rumored that in a few years the Atlantis hotel will be coming to the Ko Olina Lagoons. They plan on building an exact replica of their resort in Dubai. However, there is no evidence of construction work being started thus far. 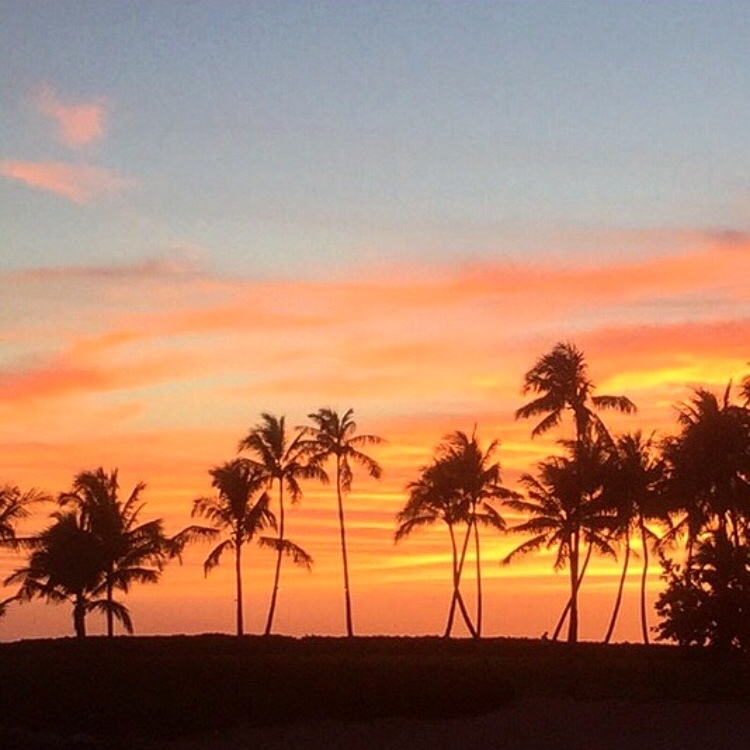 If you are looking for short-term, potentially home-like alternatives, AirBnb is a great alternative at the Ko Olina Lagoons. While prices do range significantly, it is possible to find options for only $45 per night (which is fantastic for anywhere in Hawaii, especially a resort area)! If you are new to AirBnb and aren’t really sure what to look for, this post guides you through six steps to find an amazing AirBnb. 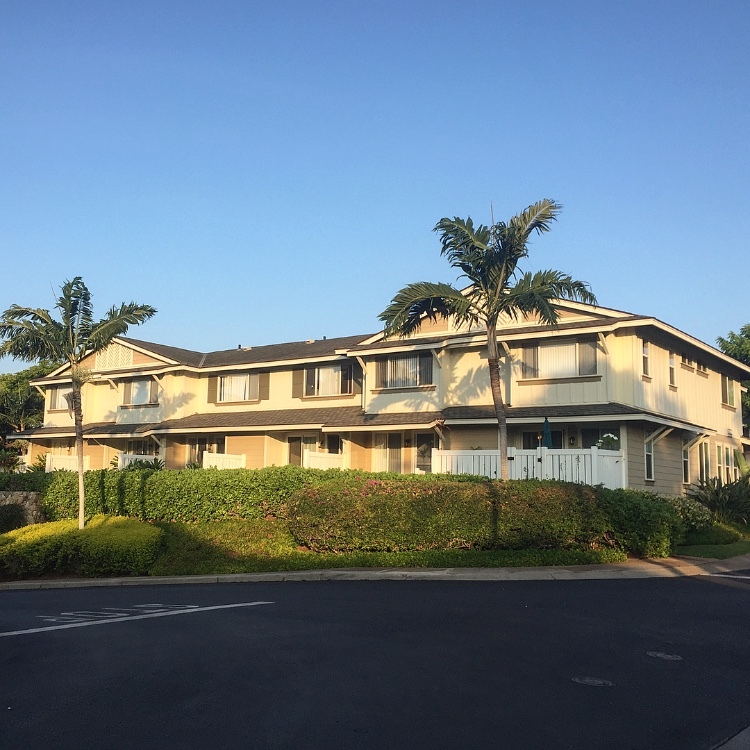 If you’re hoping to stay a bit longer than just a couple of weeks, there are also long-term rental options in Ko Olina, Hawaii. The Ko Olina Hillside is the newest development at the Ko Olina Lagoons. 2-bedroom and 3-bedroom accommodations are available. As for amenities, there is a pool and a barbecue area. The Coconut Plantation is a gated community with two pools, a hidden spa, a recreation center, and barbecue areas. 2-bedroom, 2-bedroom with den, and 3-bedroom accommodations are available. 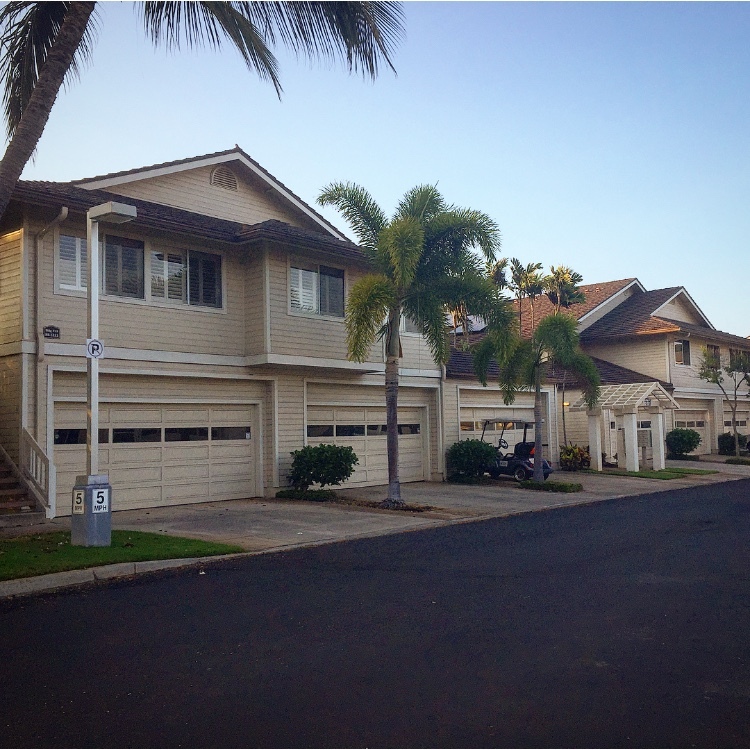 Ko Olina Kai is another gated development at the Ko Olina Lagoons. There is a pool and barbecue area. 2-bedroom and 3-bedroom accommodations are available. Kai Lani is known for having great ocean views. 2-bedroom and 3-bedroom accommodations are available. The Ko Olina Fairways were the original town home development at the Ko Olina Lagoons. There is a pool, recreation center, and barbecue area. 2-bedroom and 3-bedroom accommodations are available. For specific pricing for each of these town home developments, click here. To rent a space, click here. You’re on vacation in Hawaii! Of course you want to find a great place to relax (and here’s a packing list for you so you don’t forget anything). There are four main lagoons to Ko Olina, and many people will ask which Ko Olina lagoon is best. And my answer will always be that each lagoon has a slightly different experience to offer. While the Ko Olina Lagoons themselves do not have any set hours, do note that the parking sections for each lagoon are only open from sunrise to sunset. While there is a notice that cars parked in the lots after sunset will be towed, I’ve definitely stayed at the Ko Olina Lagoons an hour after sunset and didn’t see anyone’s car get towed. The first lagoon tends to be pretty packed with the guests from both the Four Seasons and the Aulani. The parking for this lagoon is split into 1A and 1B. I’d say this is the most kid-centric lagoon. The second lagoon is usually slightly less populated than the others. It is also known to have quite a few fish for snorkeling. With the past couple of months, turtles have started to pop up on Lagoon 2 as well. The third lagoon hosts the three Marriott towers and their guests. So it’s pretty busy, but there aren’t as many children as on lagoon one. The fourth lagoon is where the locals tend to flock when they come to Ko Olina. This lagoon also comes with significantly more parking than any other lagoon. If you venture out past the first lagoon (think of where “lagoon zero” should be), you’ll be able to find a few secret lagoons. Let’s just say that if you’re looking for a stunning view of the Waianae Mountains and snorkeling experience with quite a few honu (Hawaiian green sea turtles – here’s a post on all the local words you need to know before you head to Hawaii) in this area, you should find your way to one of these secret lagoons. But please be careful! The rocks in this area are quite a bit sharper than the ones on the rest of the lagoons. These directions should help a bit. And a Couple Extra Bonuses! At any of the lagoons, you could potentially see a Hawaiian monk seal lying on the shore. Please be sure to keep your distance from them though. They are wild animals, so please respect their space. Within the past year or two, sightings of Hawaiian monk seals in Ko Olina have been quite rare. However, instead, during the winter, the whale spouts have become more visible from the Ko Olina Lagoons. The Ko Olina Lagoons are also the best place on the island of Oahu to watch the sunset (at least in my opinion). Find out why I believe that in this post. The Ko Olina Lagoons also have tons of options for you to have some fun – in the water, on land, and in the air. 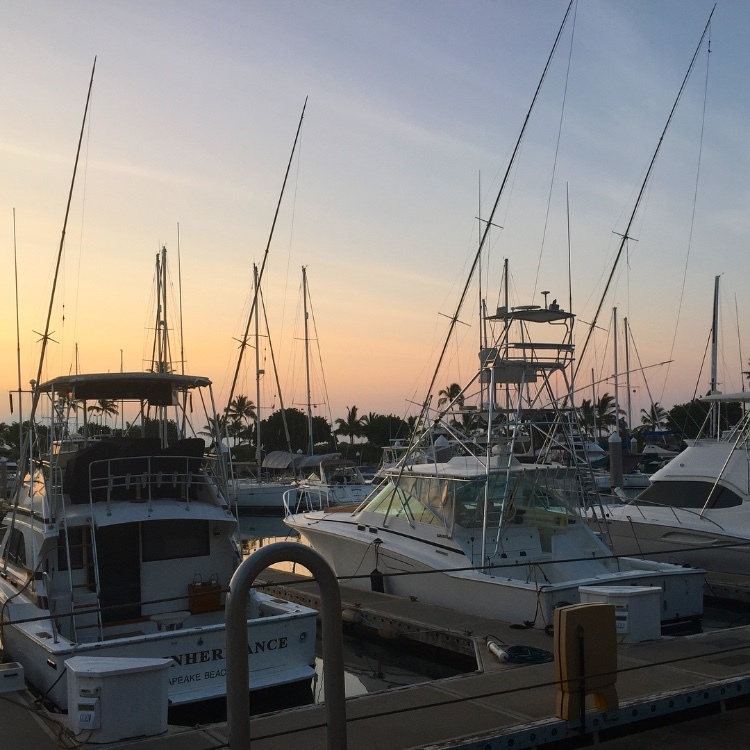 Just past Lagoon 4, there is the Ko Olina Marina, which offers a ton of in-the-water experiences. Choose between whale or dolphin watching ($149), snorkeling ($142), sailing ($142), sport fishing (price varies), or sunset watching ($142), all of course, while on a boat. Pro Tip: keep an eye out for unusual boats docked there. Once I saw an actual pirate ship (like think Captain Hook and the Jolly Roger from Peter Pan) docked there. The Aulani also has its share of water activities at the Ko Olina Lagoons. At Makiki Joe’s Beach Equipment Rentals, you can rent snorkel sets and stand-up paddleboards. If you are an Aulani Resort guest, you can also rent boogie boards, sand toys, and life jackets at no additional cost. The Aulani also has a catamaran excursion ($154) available, where guests may catch a glimpse of dolphins, turtles, and humpback whales. Everyone who visits Hawaii ends up going to a luau at some point or another. While none of the tourist-catered ones are quite like the local backyard luaus, Paradise Cove does quite a good job. With traditional Hawaiian music and dance, arts and crafts, and delicious food, Paradise Cove truly provides a memorable experience. Tickets start at $97, depending on the luau package. A huge portion of the acreage at the Ko Olina Lagoons is devoted to the 18-hole Ko Olina Golf Club. It was named as one of Golf Digest ’s “Top 75 Resort Courses in the U.S.” and is home to the 2012-2017 LOTTE Championship. Tee times start at $175. Fun fact: the course has several black swans and a tunnel under a waterfall! Whenever my family and I are on Lagoon 3 on a Tuesday night, we’d be sure to pop into the Marriott and take a peek at their show. Growing up, the most entertaining part was always when the host would climb all the way to the top of a 40-foot palm tree! (If you’ve ever even attempted to climb a palm tree, you know how impressive that is.) The show usually starts about an hour or so before sunset. The Hawaiian Railway Society runs the only active historical railroad on Oahu. Starting in Ewa Beach, this small train takes guests on a tour all the way to the Ko Olina Lagoons. During the ride, a historical audio track plays to give viewers a sense of life in Hawaii in the past. Tickets only go on sale two hours prior to the start of the train ride ($15 for adults, $10 for children). The Ko Olina Center is filled with little local stores that are selling products infused with relaxing island vibes, including Honolua Surf Co., Mahina, and Jams World. The shops that tend to catch my eye are Pineapples Boutique (and Pineapples Kids) and The Plantation. 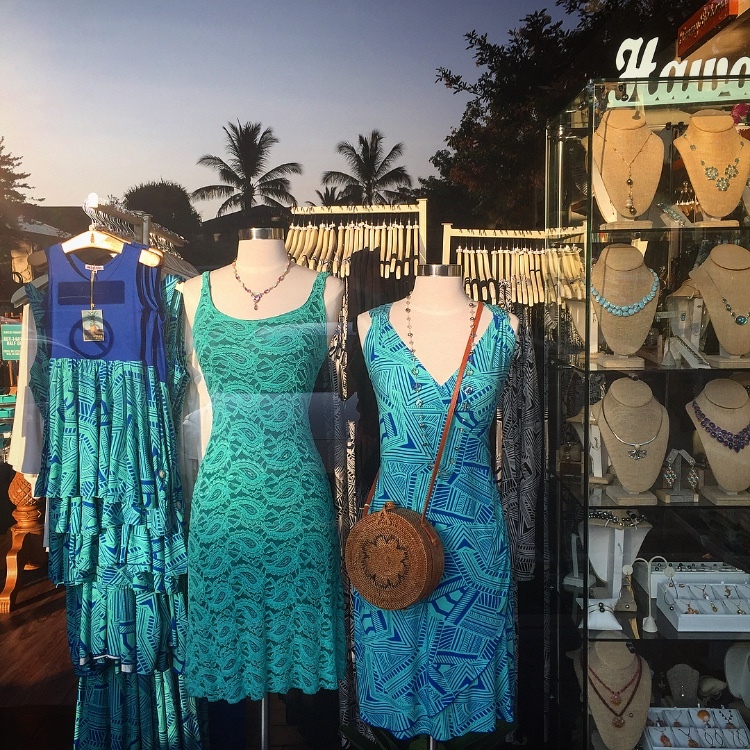 While rather expensive, Pineapples Boutique sells lose-fitting island wear that is perfect to through on over swimwear before or after a day at the Ko Olina Lagoons. As for The Plantation, its selection varies a bit from the other stores at the Ko Olina Center, because it does not sell only locally-inspired clothing items. Rather, it also sells other locally-inspired items, including cards, jewelry, and lotions. I think I’ve even come across a vintage-esque Hawaii poster there a couple of times. I’ve noticed that the art galleries in the Ko Olina Center tend to come and go, but the only one there at the moment is Gallery Olani. With a tagline that states, “local artists celebrating local culture,” you’re sure to find some true local art pieces. For a full list of the shops in the Ko Olina Center, click here. Paradise Helicopters is the only tour company to offer tours on the West side of Oahu. Four different tour options are available: Oahu Sunset Experience ($459), Kualoa Expedition ($719), Oahu Circle Island Experience ($419), and Diamond Head Scenic ($189). There is a complimentary shuttle to pick you up from the Ko Olina Lagoons and take you to the Barbers Point Airfield for takeoff. There are quite a few places to get a tasty bite to eat in Ko Olina. Which of these do you feel like visiting? If you’re a coffee drinker, Island Vintage Coffee serves up some delicious cups of 100% Kona coffee (around $5). 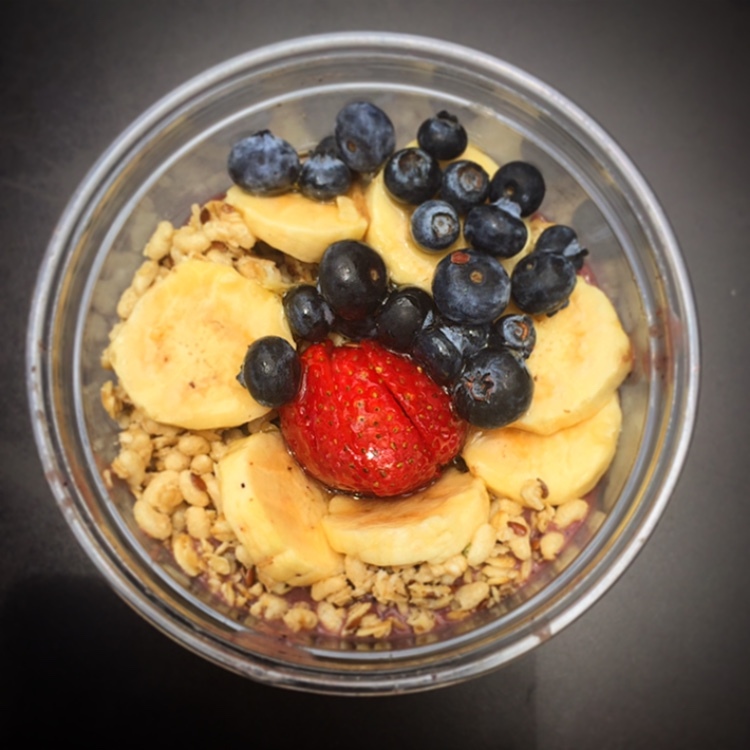 If coffee isn’t your thing, Island Vintage Coffee also serves up some pretty solid acai bowls ($10 – $12) and a reasonably priced breakfast and lunch selection. My favorite restaurant in Ko Olina, Hawaii is hands-down, Monkeypod Kitchen. Their wood-fired pizzas ($16.95 – $26.95) are definitely a crowd favorite, and their live music is a lovely addition. The fish and meat-focused dishes are quite a bit more expensive, as those average around $40 per plate. However, as an extra bonus, during happy hour (3:00 p.m. – 5:30 p.m. and 9 p.m. – 11 p.m.), the almost all of the pizzas and appetizers are half-off – and, of course, they have a discount on drinks as well. I think it’s so good that it was one of only ten restaurants to make it onto my list of Oahu’s best restaurants. Feel like splurging on a fancy, romantic dinner? Roy’s Ko Olina is the place to do it. While the menu does change quite frequently based on what local ingredients are available, Chef Roy Yamaguchi knows how to make delicious meals. Be prepared to shell out quite a lot of money though, as most dinner entrees teeter around the $50 mark. This fresh seafood restaurant is owned by famed Egyptian chef, Michael Mina. Enjoy some phyllo-crusted butterfish ($44), grilled opah ($38), or lobster pot pie ($95). There are reduced prices at happy hour (3 p.m. – 5p.m. and 9 p.m. – 11 p.m.). Please note that happy hour prices may not apply during the holiday season. Noe is one of the only Italian restaurants on the West side of the island. Dine one homemade pasta, sip on Italian wine, and stare off at the beautiful Ko Olina Lagoons. This one also costs quite a bit of money, so click on the above link to make sure its within your price range. If you are looking to pinch a few pennies and prepare some of your own meals or perhaps grab some quick premade meals, head to the Island Country Market at the Ko Olina Center. You may even be able to find quite a few foods to check off Part 1 and Part 2 of the Hawaii Food Bucket List. As a heads up though, if you can find your way into Kapolei, the grocery stores there are quite a bit cheaper. There are quite a few restaurants in the nearby city of Kapolei who will deliver food to the Ko Olina Lagoons. So if none of these nearby options pique your interest, do a quick search to see what nearby restaurants will deliver. For a complete list of all of the places to eat at the Ko Olina Lagoons, click here. On any given day, if you sit at the Ko Olina Lagoon for a couple of hours, you are bound to see a newly married couple and the very small bridal party that also attended the ceremony. So I couldn’t have this ultimate guide to the Ko Olina Lagoons without a section on where to get married. As the longest standing of the chapels, the Ko Olina Chapel Place of joy has been the choice of brides and grooms for decades. The glass-windows that look out at an ocean view and the light green rooftop make for some quite picturesque pictures. Does this one catch your eye? Inquire about the space. *Note: this chapel is temporarily under renovation. As the newest of all of the chapels, the Ko Olina Royal Chapel is on the property of the Four Seasons Resort Oahu. With a capacity of 40 guests, this historically-inspired chapel infuses small elements of Hawaii’s history into its architecture and décor. Interested? Inquire about the space. Is this one more up your alley? Inquire about the space. Remember those secret lagoons I mentioned above? Well, it turns out there is also a secret chapel there too. So if you’re not super showy and you don’t want a bunch of strangers on the beach to watch you as you’re taking pictures on the beach, this is the wedding location for you! Sound like the perfect location for you? Inquire about the space. Lanikuhonua is where you want to look if you are planning to have an outdoor wedding. (*Spoiler alert: if you’re a Hawaii Five-0 fan, Chin and Malia get married here.) If this place seems to be catching your attention, be prepared to book this place WAY in advance. Just as a side note, I’ve noticed that many sites that discuss the Ko Olina Lagoons, including the websites of the businesses listed above, make it seem as if certain activities that are over an hour away are in the lagoon area. While sometimes transportation is provided for you, if it is not, please do your research to check how far your activities are to get yourself enough time to get to where you need to go. The majority of the activities and restaurants listed in this post are within the boundaries of the Ko Olina Lagoons. The only exceptions (The Hawaiian Railway Society, Paradise Helicopters, and food deliveries) have been clearly stated and are still within 10 minutes of the area. Interested in more Oahu Ultimate Guides? Check out The Ultimate Guide to the North Shore and The Ultimate Guide to Kapolei! 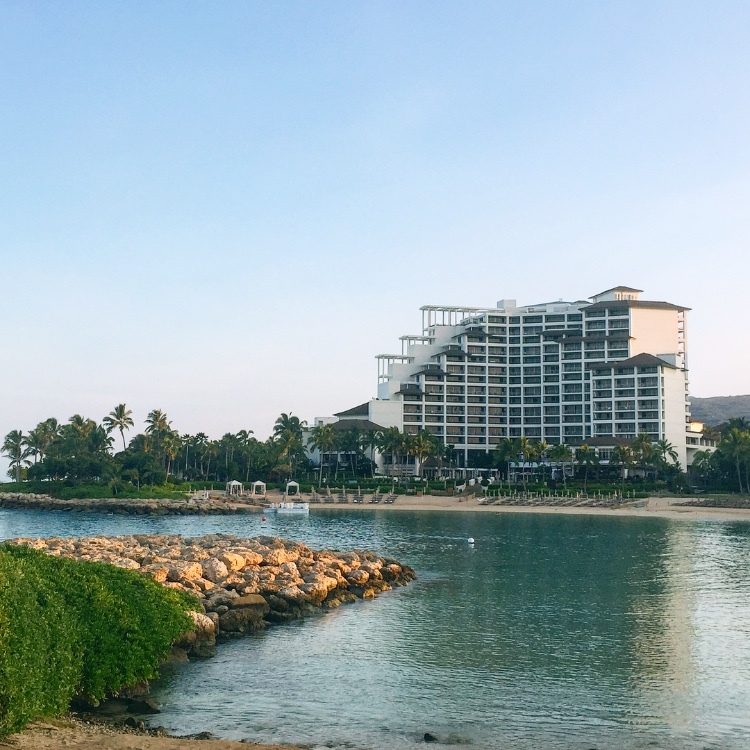 Have you ever been to the Ko Olina Lagoons? Write about your experience in the comments! This is a very thourough post! I like that you have considered all budgets, and the bonus secret tips. What are you holding in the food photo? Looks a bit like sushi? Thank you!! This post was a lot of work, but I’m glad it paid off! And its actually a spam musubi. I’ve heard foreigners describe it as “spam sushi,” if that gives you an idea (but please don’t ever call it that lol). Here’s a link to another post if you want to read more about it! Your making me want to book a flight! Great post! And your pictures are amazing!!!!!!!! Thank you so much! And yeah, you should hop on a plane over ASAP lol. I’ve been to Oahu over 50 times yet have spent almost no time in Ko Olina! Just a quick brunch one time at Aulani. I’ll definitely check it out next time – it looks awesome based on all of your info! Wow FIFTY times?! That’s incredible. If possible, hit up those secret lagoons (like “lagoon zero” as I referenced it). Those are my favorite :). I’ve always wanted to go to Hawaii, and this destination is incredible. Nice read, great photos! Thank you so much! You’ll make it over one day :). Hawaii is totally on my list! Looks so beautiful there! Those sunsets look incredible! I travelled to Hawaii as a child and would love to go back one day! It’ll always be here waiting for ya! What a comprehensive post, and a place I really didn’t know about. Hope to visit Hawaii soon and I’ll remember your blog if I do! Aw thank you so much! I hope it’ll come in handy when you’re figuring out things to do if you come to visit :). Aw thank you so much!! I’m glad I can share some local tips with you :). This is a really indepth guide and perfect for any one wanting to stay in the Ka Olina Lagoons in Hawaii. Thank you! That was the goal! LOL IT IS!!! 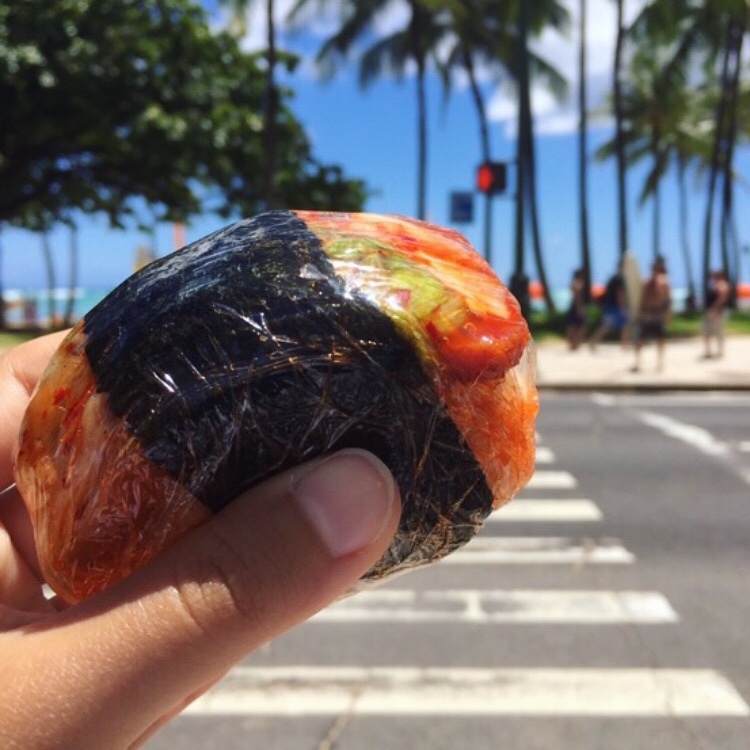 I was on the hunt for Oahu’s best musubi for a long time, so I was searching EVERYWHERE. As pretty much every local will agree though, the best musubi isn’t from Musubi Cafe. It’s from 7/11 (I know, shocker, but you’ve got to trust me). But Musubi Cafe has the most aesthetically pleasing musubis lol. Haven’t been there yet. But need to soon! 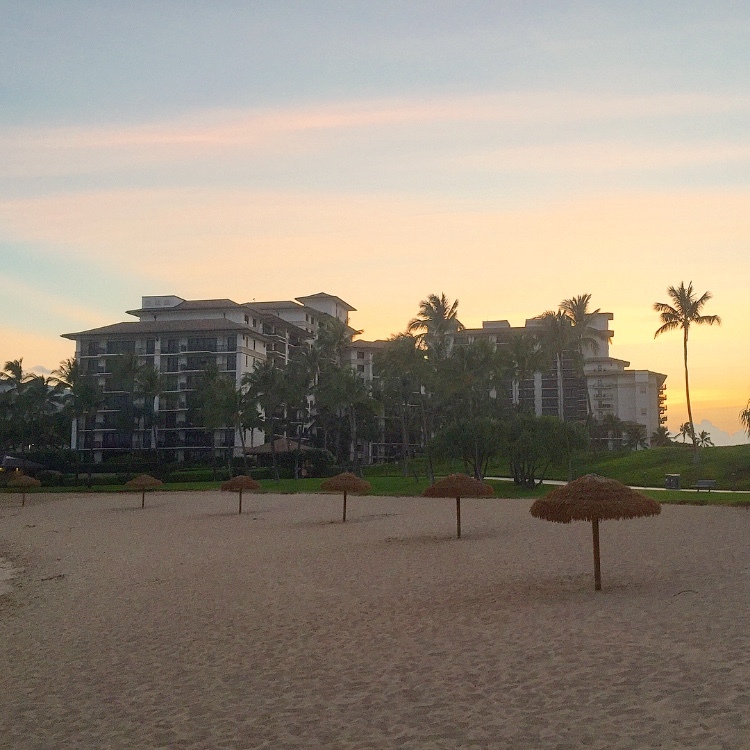 Thanks for all the helpful tips about Ko Olina! Of course! Hope you’ll be able to use them one day! Gorgeous place. Every time I see photos I just want to book a flight, bit its always easier said than done!! If only I lived closer haha. Great guide! Thank you so much! Hopefully you’ll make it here soon! I have always wondered where Aulani was on the island! I love that you included Airbnbs, when I went to Maui last month I stayed at Airbnbs so I could move around the island! Thanks! When I travel, I pretty much always use AirBnbs, so I figured why can’t people do that on my island too? :). Great guide to Ko Olina Lagoons. Based on what you have listed, I would definitely want to stay at the Four Seasons and enjoy everything they have to offer, including those amazing restaurants. I love Michael Mina. ooh that one is definitely a good choice :). And Michael Mina is popping up all around Oahu lately! I can think of three of his restaurants right off the top of my head! Did you grow up on Oahu? Very awesome post girl! I can definitely see why it’s becoming such a big tourist area with the Aulani there! I did! I’ve basically always lived here, with the exception of college. And yeah, when we got the Aulani, Ko Olina really started to get popular. This is a super guide to the Ko Olina Lagoons. Think Beach villas look like an awesome place to stay and explore.. Love.. Backpacking Series. The Beach Villas are definitely a great choice! Glad it could be so helpful! That’s my favorite spot too. Gorgeous place I’ve always thought about Hawaii and first time I actually read about it. Makes me want to book that flight. Thanks for sharing this! There aren’t actually a ton of locals that write about Hawaii, so I’m glad I could share some of the culture with my readers (like you!) on this blog :). Thank you so much! I look forward to you getting to read them :). Wow this was wonderful. I’ve always wanted to go to Hawaii and this gave insights to everything important. I really appreciate the tips about the lagoons. What a lovely place to grow up! I missed this area when I went to Oahu, so it’s a good reason for me to go back. I loved Atlantis in the Bahamas so it is exciting there may be one in Oahu (at some point). Definitely a reason to come back :). Thank you for writing such a detailed post. Oahu is so beautiful! I was lucky to visit a friend twice while she was going to school there a few years ago. We spent most of our time in Kailua, but I would love to sneak away to Ulua the next time I visit. Kailua is so beautiful too! Some of my favorite hikes and beaches are near that area! Oh my goodness! Hawaii sounds and looks beyond gorgeous. I’d really like to visit the Ko Olina Lagoons one day. Love the fact that you included wedding venues, too! Haha…I might just forward this to the BF! LOL “hint, hint*. Love that. I actually didn’t have the wedding venues in the first couple drafts of the post. Then I realized that seeing brides and grooms taking pictures at the lagoons is like such a common thing to see at the Ko Olina Lagoons, so I had to include it. I love your guide with so much useful information and great pictures. Your sunset shots are just incredible. Thanks for sharing! Thanks so much! The sunsets add all the beauty themselves 🙂 – if it helps put it in perspective, I took those shots with my iPhone 6 (not any sort of fancy camera, and there was little to no editing done on them), so you know the sunsets have to be gorgeous in real life. Wow! Brilliantly written post. I loved all the details where to eat, enjoy, shop, stay and even get married. All in all it really is an ultimate guide for Hawaii. Aw thanks for the support! Lovely pics and helpful tips, Hawaii is very high up on my wish list! I hope you make it here soon! I need to book my ticket to Hawaii right now! All these photos look amazing! Man looks like I am going to have to bring my lottery winnings to afford things in the Ko Olina Laggons cause it all looks amazing but expensive. I love Hawaii but you definitely have to plan to keep within your budget. However, if you are looking for a wedding set up like you shared then what better time to splurge! I was blessed to stay at the Four Season in Maui and loved it! So I bet the one in Oahu is off the hook. Definitely going to have to take Darcee to see the historic train of the Hawaiian Railway Society! 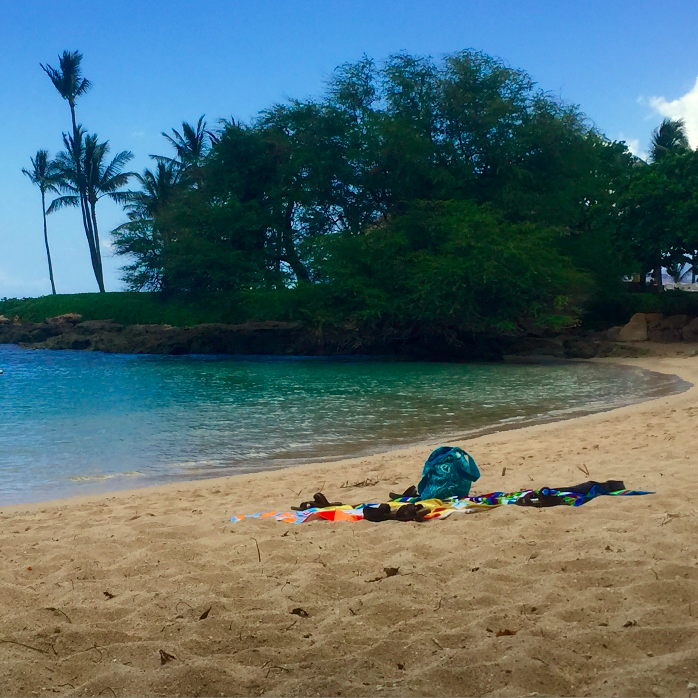 Great guide to Ko Olina Lagoons! lol true. Ko Olina is quite the expensive place (especially for food). But if you ever make it over one day, I’m sure Darcee will love the train! We drove around much of Oahu on our last visit, but did spend any time of the west side, so we’ll have to head over there on our next trip to see more. We’re big Disney fans so I stay there is inevitable I suppose! Ah yes! The West side has so much too see! I’m glad that you were able to drive around and explore more of the island than just Waikiki though :). Haven’t heard of this place before coming across your blog. I am sure that it is something like Sentosa in Singapore where there are a lot of activities. If I am ever around this place, I would try to visit and spend a day or two. It was quite the hidden gem for a while! I personally haven’t heard of Sentosa, so perhaps! That sunset picture looks so romantic. This is truly an ultimate detailed guide, I am pinning it for my future reference. Thanks a ton for this. Of course! Glad you’ll be able to use it one day. Wow! So much in this. Cool that you’ve seen the place grow from when there was only a few things to such a big place. I know right?! It’s kind of crazy to hear people who are only like a decade older than me talking about booming parts of the island that used to be completely covered in sugar cane fields! I reckon I’ll AirBnb it when I go, unless by then the Atlantis rumour is proven true, cos then I’d be tempted! Hope to visit Hawai’i one day and go beyond the beaches. I love that across body bag and the jewellery. That is what I look out for in travels to bring back home and rock. Aw yay! Glad there was a little inspiration in this post for ya. such a great guide to this enchanting place. I have been to Kauai three times but I have never visited other islands. I’ll follow you and your tips so I will have another amazing experience in that beautiful part of America. Kauai is beautiful, but so are all the other islands! I hope you get to visit a couple other islands one day. I’ve always wanted to go to Hawaii! Your photos are lovely. I want to go shopping at the store with those dresses! Aw thanks, girl! Hopefully you will be able to one day :). Wow! 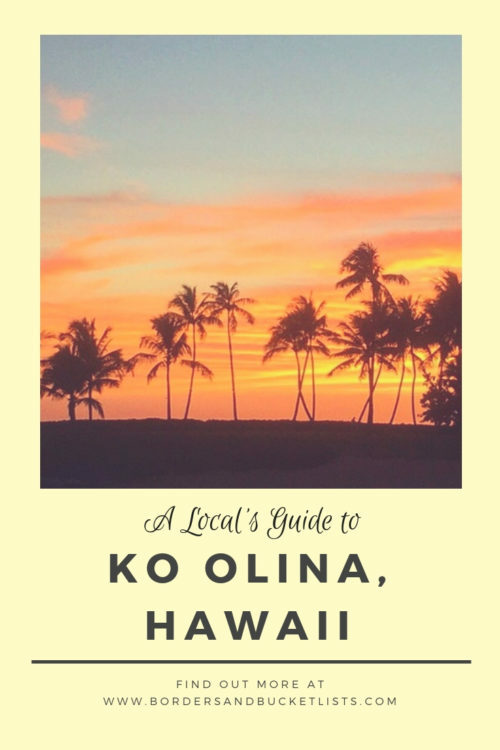 This is such a detailed guide on Ko Olina Lagoons. From the best places to stay and the secret lagoons to the restaurant and food suggestions, shopping and activities to the places to get married – you’ve covered everything. Ko Olina looks beautiful and I would love to visit the lagoons and enjoy their magical beauty someday. Hawaii looks absolutely stunning. Living in the UK it’s always felt so far away, but would love to get there one day. Really enjoyed reading your guide. It must have been an incredible place to grow up! Hehe I’m glad you liked that addition :). What a great guide! I love that there’s so much to do around Ko Olina Lagoons, it isn’t a place I’d heard of before. Only managed to make it to Maui before but would love to go other hawaiian islands. Thanks for the inspiraton! Of course! The other Hawaiian Islands are definitely worth a visit as well! It’s been a few years since I have been on the island of Oahu, things sure do change! I had no idea Disney had a resort like this on the island either. Sounds beautiful and fun! Yeah, things change so fast! Once Disney popped up (I think it was 2011), more and more changes started happening as well. It’s waiting for ya, whenever you make it back :). 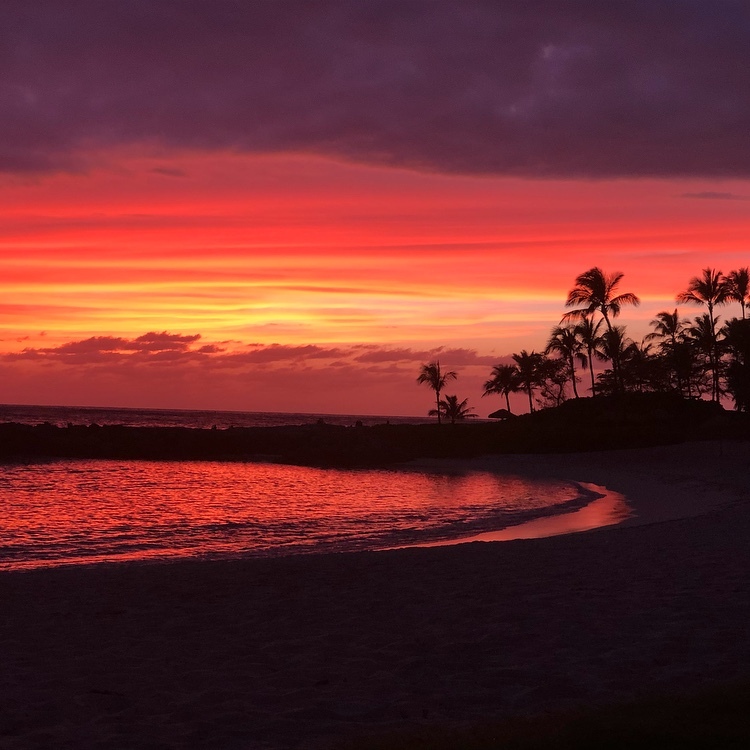 Nothing beats the sunset at Ko Olina Lagoons… I love staying at the Hillside…my fave is Lagoon 3…but we always park at 4 and walk to 3. My favorite lagoon is actually lagoon 2 lol. And I totally agree about the food sitch. Waikiki does have a lot of good food, but it takes so much time to find it, because there are so many options (and yelp isn’t all the helpful on the islands lol). We are headed to Oahu in a couple months and so thank you so much for all this valuable info!! What is the setup for happy hour at Monkeypod? Would it work if we have children? 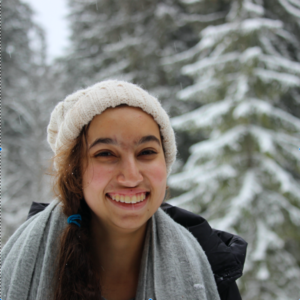 Thank you so much, Sierra! I’m glad you enjoyed the read! Monkeypod happy hour is totally doable with kids! I actually go just for the yummy food lol. I think kids would love the pizzas (which are half price during happy hour) – even if they aren’t adventurous eaters, there is a simple margherita pizza for them. Plus, the appetizers are half off too, so if all else fails, there are french fries and chicken wings for them to enjoy lol. Of course! Glad I could help!